In a sold out Copenhagen Tivoli Concert Hall, violinist Sergej Azizian and pianist Elena Semishina performed the new piece Pavane Extrapolations. Aarhus Musikforening hosted a sold out chamber music concert Feb 21st 2010 in Musikhuset, Aarhus. At this event the trioRAMA ensemble premiered a new piece by Nicklas Schmidt titled: Marching With Two Left Feet. 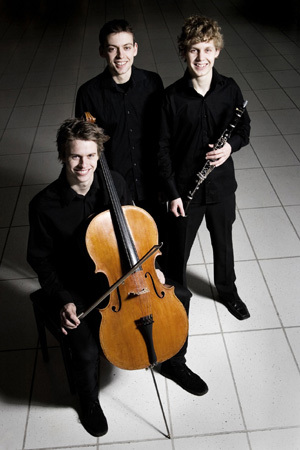 TrioRAMA consist of principal clarinetist of the Aarhus Symphony Orchestra Mathias Kjøller, cellist Tobias Kruse Lautrup & pianist Jakob Alsgaard Bahr. Jan 2010 A new piece Fading Gloom - for Soprano, Alto Flute & Cello was premiered in Literaturhaus, Copenhagen 6th Jan 2010 as part of the Vinterrum project. The Vinterrum experience will be repeated at 7 concerts across Denmark during January and February. Nov 2009 The acclaimed Danish Trio Alpha premiered the new piece "Poorman Road Dash" as part of the Sound Ways Festival in St. Petersburg. 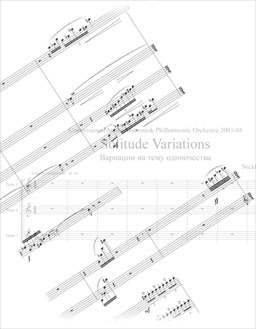 The piece in 3 movements is written for recorders, saxophones and percussion. Jun 2009 Nicklas Schmidt wrote the score for the new Danish movie "Zoomerne" currently playing in cinemas across the country. The music was recorded with the City of Prague Philharmonic Orchestra conducted by Nic Raine. Dec 2008 - Pianist Anne-Marie Lipsonen performed two pieces from "Sunshine Etudes" as part of a concert at the Copenhagen Hotel D'Angleterre. Oct 2008 - Nicklas Schmidt wrote together with Jóhann Jóhannson the score for the first 6 episodes of the Icelandic crime series "Svartir Englar" (Black Angels). 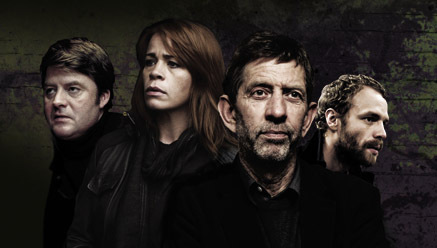 The TV series are produced by Sagafilm for RÚV and directed by Óskar Jónasson. Svartir Englar is planned to be shown on National Swedish Television at a later time. Mar 2008 - "Branden på Koldinghus"
a new piece for Male Choir and String Orchestra was premiered to a capacity crowd at St. Nicolai Church in Kolding, Denmark March 29th. 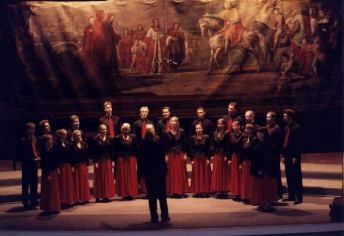 Kolding Mandskor had commisioned this choral work, that tells the story of the tragic fire at Koldinghus Castle 200 years ago, when Spanish and French troops where stationed in Denmark during the Napoleonic wars. 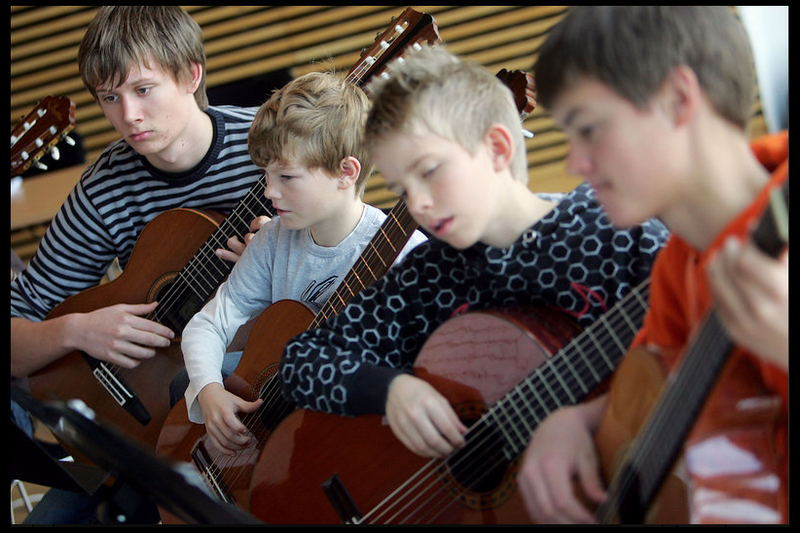 Nov 2007 - A new piece for Guitar Orchestra was premiered as part of the Danish Music Schools Biennale for Contemporary Music. The Guitar Ensemble of Vejle Music School has played this new piece in a series of concerts in November and December in Denmark. 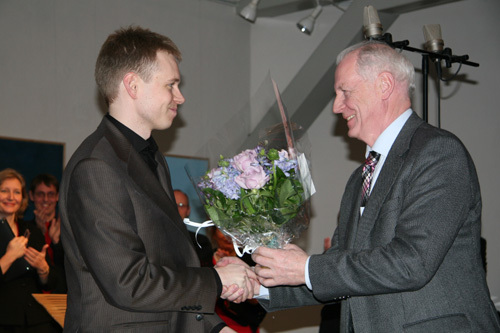 Sept 2007 - Premiere of new piano music in Copenhagen. 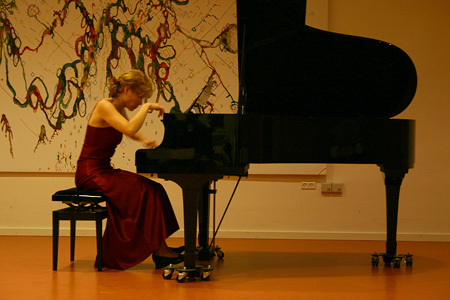 In Vanløse Kulturhus on Sept. 12th 2007 Finnish pianist Anne-Marie Lipsonen premiered a series of new solo piano pieces titled "Sunshine Etudes". More additions to this cycle are planned in the future. May 2007 In St. Petersburg, Russia, Nicklas Schmidt is composing new incidental music for H.C. Andersen's fairytale "The Snow Queen". 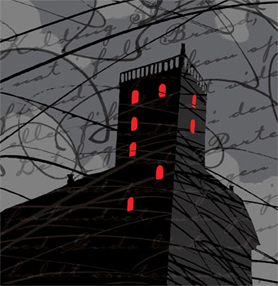 The Skazki Theatre hosts the new staging, directed by award winningIgor Ignatiev. The play is scheduled to premiere in December 2009. The concert featured music for chamber groups, choir and solo instruments. A debut mini site will soon be launched from where recordings of all the featured pieces will be available.. 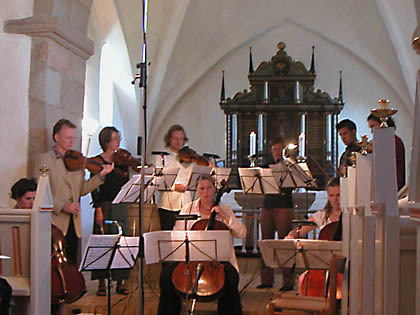 The Piece was commisioned by the "Menneske - Musik - Kirke 2006"
project, initiated by the organists of the 10 Frederiksberg churches of Copenhagen. May 2006 - Premiere of new Piano Concerto "Übergang - Untergang"
A new piece by Nicklas Schmidt commissioned by Duo Cellissimo premiered in London. Mar. 2006 "Trio for Fiberline" in St. Petersburg. Piano trio featured on "From Avant-garde to the Present day" festival, in a concert titled "Contrasts". In the concert the Petersburg audience will also hear works by Danish composer Peter Helms, Russian Boris Tischenko and Igor Rogalev. Dec. 2005 "Follow Me" recieves it's German premiere in Bremen. 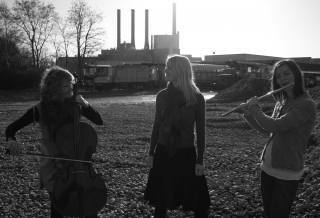 CelloSound Bremen performed the piece at the 8th PROFILE INTERMEDIA festival that ran from Dec. 8th - 11th. - November 1st Follow Me was played in the Concert hall of the Copenhagen Royal Academy of Music. The concert was repeated on Nov. 2nd in the St. Petri Church. Apr. 2005 - "Follow Me" a new piece for 3 cellos premiered in Copenhagen's "Rundetårn" April 29th, 2005. Morten Zeuthen, Jakob Kullberg and Mats Lidström performed this new piece by Nicklas Schmidt. 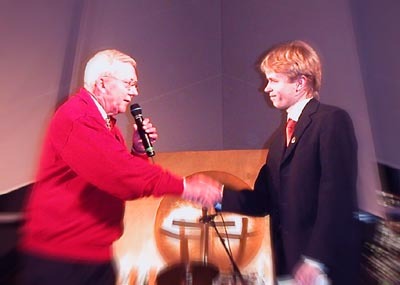 Dec. 2004 Nicklas Schmidt receives a grant from Kolding Flisepudserlaug. decision to financially support Nicklas as a recognition of his achievements as a young composer and to encourage his further developement. Nov. 2004 The Danish school for church music in Løgumkloster premiered a new commisioned choir piece "Gloria" (lad klinge fra den gnske jord) written by Nicklas Schmidt on the text of poet K.L. Aastrup. The event was part of the school's celebration for it's 25th anniversary the 7th of Nov 2004. 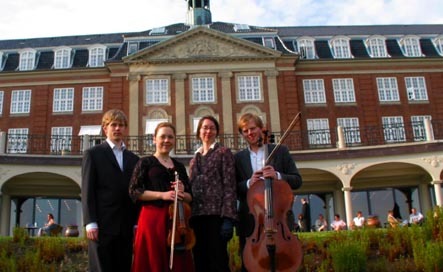 Aug. 2004 The Museum for the Danish painter Kirsten Kjær hosted the Langvad Chamber Music Days. - Nicklas Schmidt was invited as "Composer in residence". His new String Nonet, "Hymn to Chances Lost", was premiered at the event. London based violinist Thomas Bowes was the artistic director who had gathered a group of accomplished musicians from the U.K., Canada, Romania, Poland, Germany and Switzerland to participate in the festival. - Read a review of the nonet by former headmaster of the Royal Academy of Music, Aarhus - Henrik Svane. May 2004 "Trio for Fiberline"
The premiere took place at the Radisson SAS Koldingfjord Hotel. March 2004 before a sold out hall in Murmansk, Russia. Sep. 2003 - More music has been made available on the site. Sep. 2003 - In St. Petersburg, Russia Nicklas Schmidt has been nominated for a "Golden Spotlight" (Zolotoj Sofit) Award - the city's theatrical Oscar. 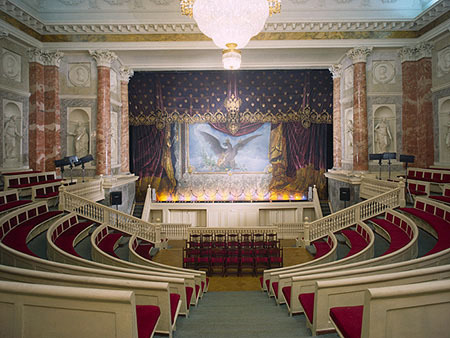 The nomination is in the category "best incidental music" for the music done for the production "The tale of the Little Dragon" that premiered in may 2003 at the St. Petersburg Teatr Skazki (Fairytale Theatre). 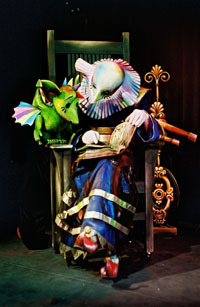 new The production, directed by Igor Ignatchev, later won the Russian National Golden Mask Award for best Puppet Play in Moscow, 2004.
and conducted by chief conductor and artistic director Damian Iorio. 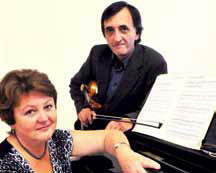 Aug. 2003 - Finishing "Meditation in Vain" - a new opus for violin and organ. Jul. 2003 - Nicklas Schmidt was awarded the first prize in the composition competition organized by British Tuba Quartet "Tubalaté" and the British Council in St. Petersburg, Russia for the piece "The day we buried Vanya". The piece is planned to feature on Tubalaté's tour in the U.S. in October and on their upcoming CD. The award ceremony was held in the White Hall of the Marble Palace in St. Petersburg. 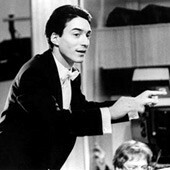 - Graduation from St. Petersburg Conservatory (diploma with honors). 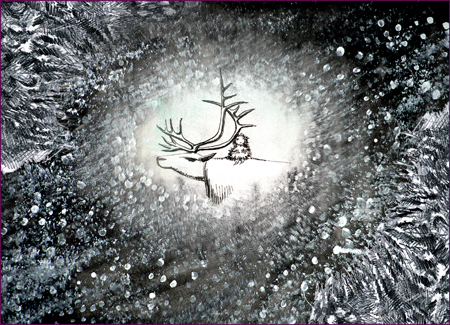 - nicklas-schmidt.com is now online.